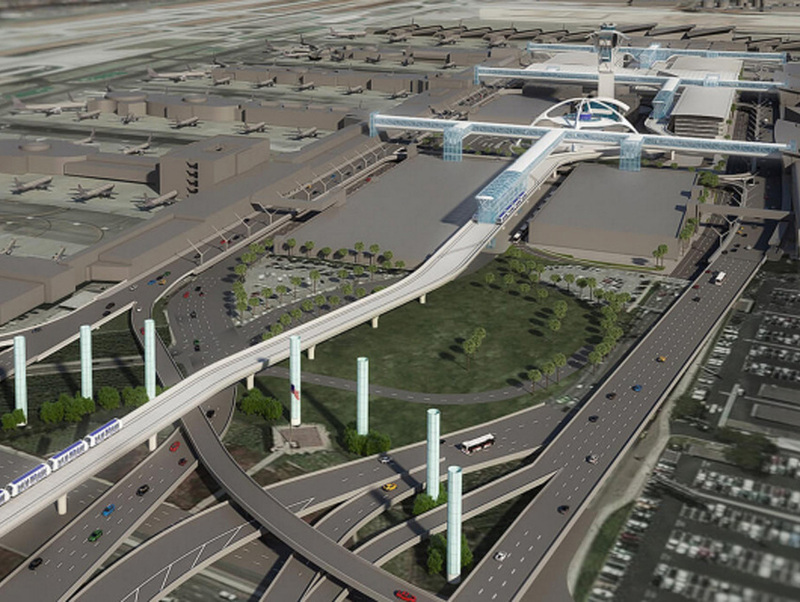 If you hadn’t heard, there is finally movement to build a rail connection to LAX; a scoping meeting was even held this week on a rail station that will offer connection to the terminals via a People Mover. The plan will benefit not only transit riders but drivers dropping off or picking folks up at the airport. The latter job can be especially painful as you wait to spot your friend/relative/loved one, don’t see them, get shooed away by security, and find yourself circling that infernal central terminal area all over again. The new rail station—at Aviation Boulevard and 96th Street—will be part of the under-construction Crenshaw Line, which will connect the Green Line to the Expo Line, and allow passengers access to Santa Monica and DTLA (via a transfer). That station is being planned right now, but according to a Power Point presentation from Metro, it will include “passenger pick-up” and “drop off.” Yes, you heard that right, you’ll be able to drop people off at least a mile from LAX; all they’ll have to do is ascend to the People Mover, which will be attached to the light-rail station at 96th and Aviation, and they’ll be zipped to the central terminal area. With three stops at LAX, using the People Mover should be relatively easy and require a reasonable amount of walking (no word yet on whether it will cost anything). Check out the presentation here. How Convenient Will Taking the LAX People Mover Be?